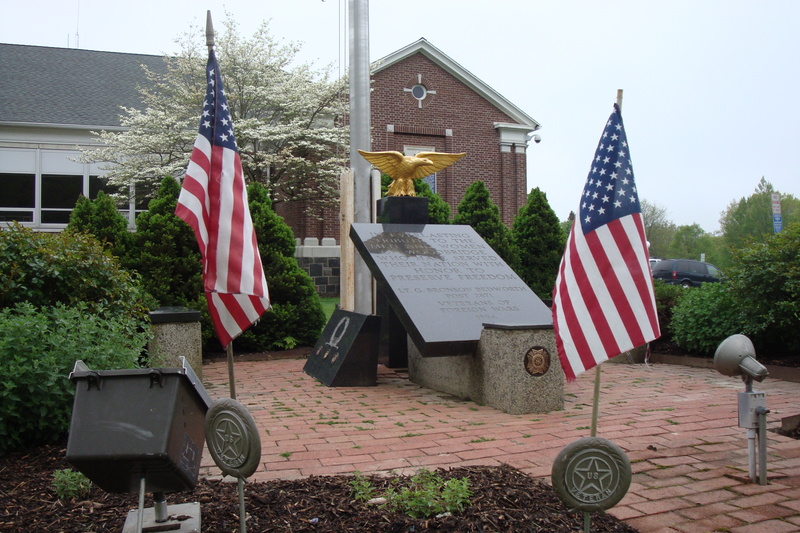 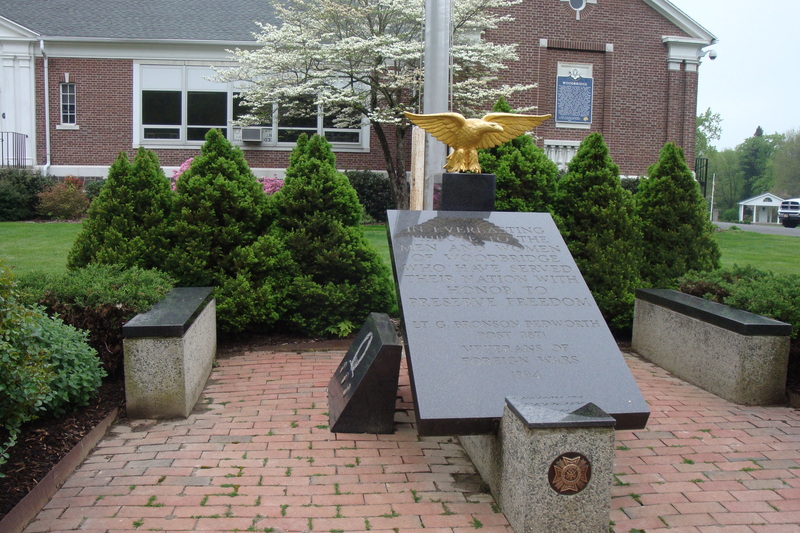 A black granite slab mounted outside the town’s police department honors Woodbridge’s veterans. 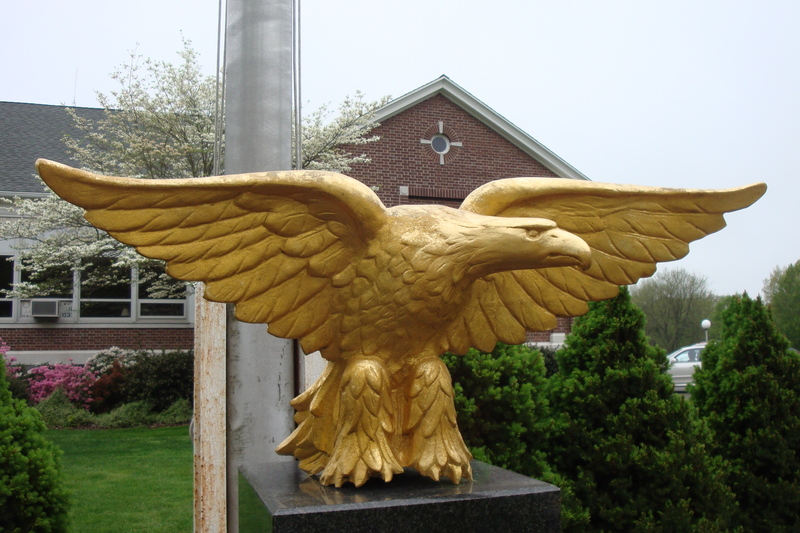 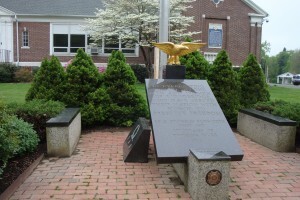 The polished granite slab is topped by a gold-colored eagle, and has medallions representing the various military service branches mounted on separate slabs. 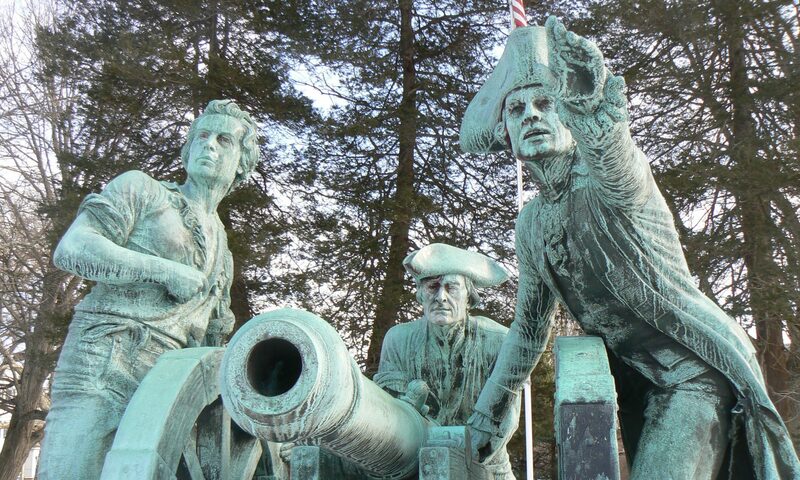 Two granite-topped benches, a flagpole and a variety of ornamental shrubs complete the monument site, outside the police station on Meetinghouse Lane. 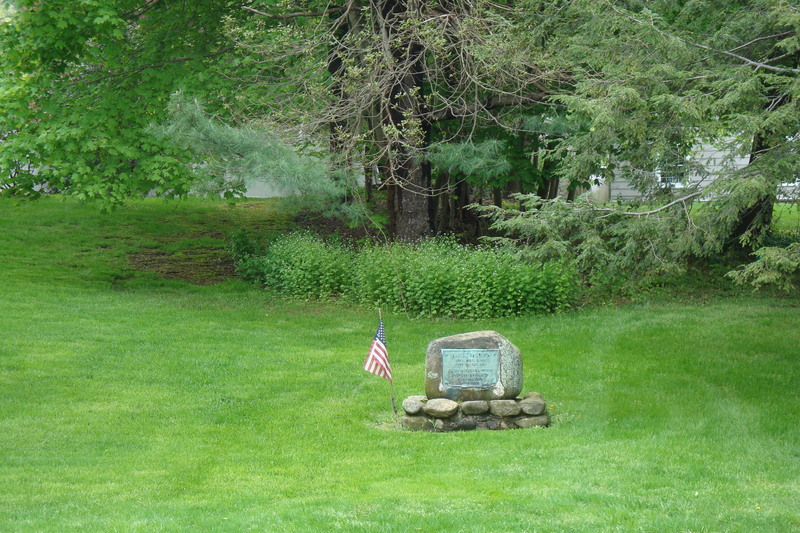 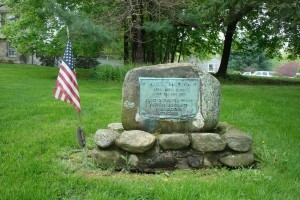 A small boulder on Racebrook Road, slightly north of the intersection with Ansonia Road, marks the former homestead of American Revolution veteran Samuel Baldwin, who was killed in present-day West Haven during the 1779 British attack on New Haven. 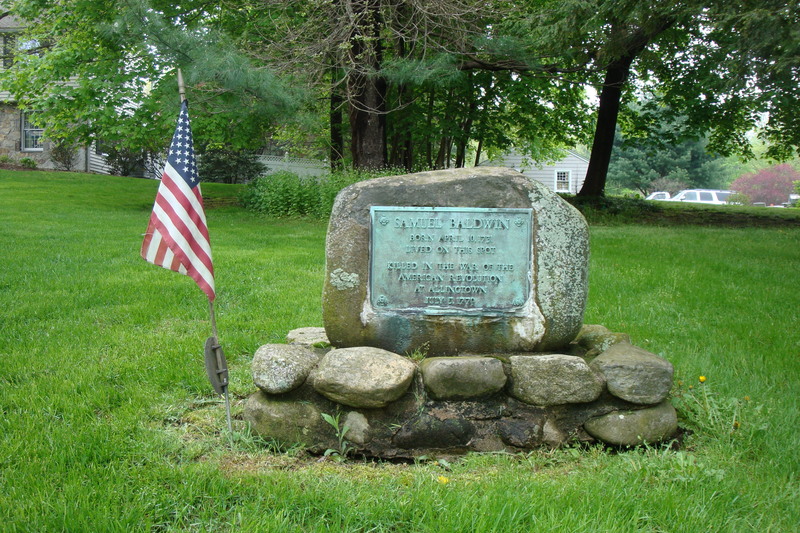 The boulder features a bronze plaque listing the dates of Mr. Baldwin’s birth and date, and explaining the monument’s location at his former home.